Charlotte was willing to accept whatever suffering came her way, just to be with the man she loves. But she could never have foreseen how difficult it was going to be to weather the louring tempests of her husband’s depression. Mystified by why her devotion is not enough to make John happy, she carries the burden of his sadness, unaware that it is a long-ago secret, kept from his aunt Lily, that prevents him from surrendering to the joy born of true love. 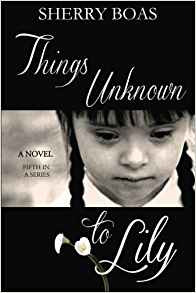 Healing is about to come from an unlikely place, as it often does with anyone who has known Lily and grows to understand that something quite unexpected can change everything.